Hey Guys! Happy Saturday. I'm working today but I wanted to get a quick post up for you all. There are three things that I have to rave about this morning because I've been using them for the past couple weeks. The first are Spongeables. I have this one called the pedi-scrub foot buffer. I use it EVERY day on my feet. It's perfect because you don't have to add soap...and it's good for 20 uses (I think it get's much more than that though...). 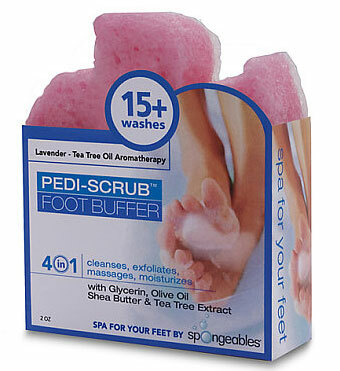 It cleanses, moisturizes, massages, and exfoliates your feet. It's a great shape for getting in between toes and the two sides are very useful. One for buffing one for cleansing. I think this is such a useful product. They cost about $7.50 a piece and you can get them at Rite Aid, Ulta, CVS and Wal-mart (select stores). 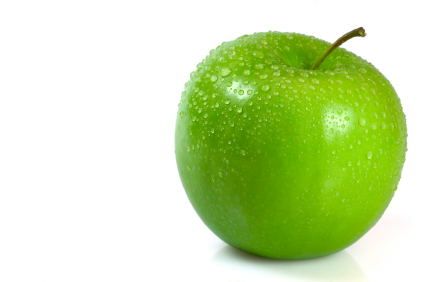 This is what the tube looks like...I couldn't find a picture of green apple...but you get the picture. I recommend all of these products for Christmas gifts or stocking stuffers. They are Fantastic!! !